The future is here, because some amazing genius has invented color changing markers. But do they really work? 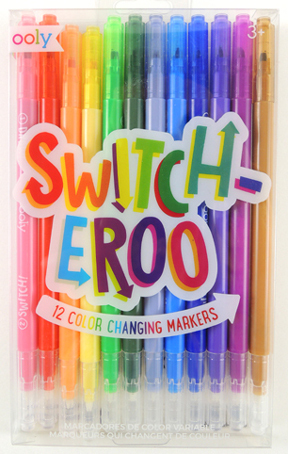 While Crayola, Alex, and an intriguingly named company called Wham-O all have versions of these markers, today, we’ll be testing the Switch-Eroo set of 12 color changing markers by Ooly ($9). And here’s the results of the white end on top of said colors. Pretty cool right? The color yellow was especially surprising. Look at those big, bold purple circles! There was no smudging as you “reversed” the colors, though in my opinion, there seemed to be a lot of yellow resulting from the color reverse. Red, orange and light green? Those basically all reversed as yellow. As did blue and pink. But look at the dark green. It reversed as red! Very cool. One question you might be asking: Does the white end do anything if you just use it on paper? Nope. 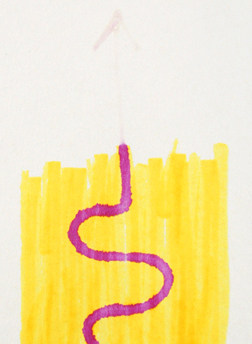 Below you can see my yellow scribble, and how I drew on top of it with the white end of the marker. But you can barely see where I departed from the yellow and drew an arrow pointing upwards. Once the white tip moves off the color, the ink basically becomes invisible. However, this begs a further question: Can you use the white end to write invisibly on paper, then scribble over it with the color end to reveal a secret message? Wooo hooo hooo! The coolness factor just increased ten fold. I expected the white ends of the markers to start staining as I progressed through testing, but they didn’t. They stayed clean except for maybe the faintest touch of color on the tip. Nice. 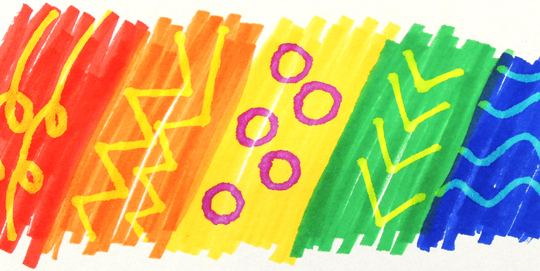 The Ooly Switch-Eroo color changing markers are terrific. 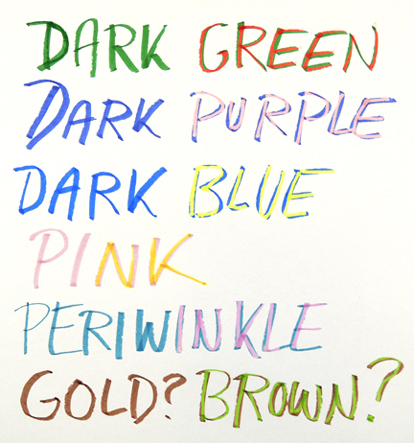 You not only get 12 extra colors in a set of 12 markers (though there did seem to be a lot of yellow going on), you also have a mechanism for writing secret messages in technicolor. The markers have plenty of ink, and I like the company’s color choices. So for the little artist in your home, this is a terrific extra that will no doubt inspire more creativity. Recommended! Bonus points to anyone who recognized the Winnie the Pooh reference in the blog title. 1989! Represent! 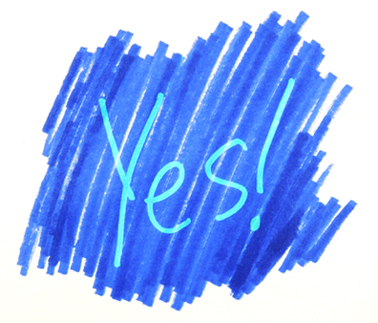 This entry was posted in Tools, Tips & Testing and tagged activity, art, children, color changing markers, craft, craft project, Ooly, reverese, Switch-Eroo, test, tip, tips, tool, tools by Dana Sheridan. Bookmark the permalink.